Mike Stubbs is the senior pastor at Victory Fellowship. Mike and Jannie have been married 33 years, have a 31 year old married daughter, a wonderful son-in-law and granddaughter. Mike and Jannie have served in the United States, Finland, Russia, Estonia, Vietnam and Malaysia among other countries. Their passion is seeing people fulfill their God-given purposes. Their experience includes pioneer work in nations, directing Bible schools and serving on several executive councils and boards over the years. However, their great love is pastoring the local church. Mike met Jannie and got saved at Victory Fellowship in 1984.They are both graduates of Rhema Bible Training College. 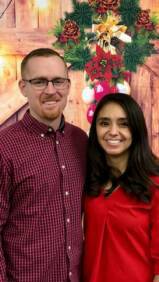 Corey came to Victory Fellowship from Life Pacific College and served as an assisting minister and youth pastor before becoming the associate pastor. He is heavily involved in the sound and worship ministry, youth ministry, youth camps, young adult ministry and church facilities as well as leading a successful prayer and worship ministry at the church. 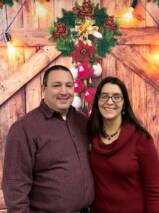 He married his wife, Erin, in July 2005, who has attended Victory Fellowship her whole life. Corey is an ordained minister. Corey has been on staff since 2001.He is married to his wife, Erin. Brandon is married to Bianca and they two children. Brandon has worked in management for many years with a large corporation but always pursued his passion by working with youth and getting his degree in ministry from Tabor College after his studies at Emporia State University and Wichita State University. Brandon started serving at Victory Fellowship in September 2018. Elizabeth Young has raised 3 children with her husband John who works in the public education system. Elizabeth has been a part of the Victory Fellowship family for over 20 years and has served since in children's ministry. Her familiarity with the Victory Fellowship family and steadfast walk with the Lord both contribute to her being a well adapted person in the front office. Gonzalo and his family have been faithful and fruitful members of Victory Fellowship since they gave their hearts to Jesus Christ. Gonzalo is a very hard and skillful worker who never ceases to amaze the staff with his thoughtfulness and thoroughness. He is always picking up new skills and is never afraid of a challenge. Adam Welty is married to Michaela. He has a Bachelor of Science in Psychology from Regent University and was trained in the International School of Ministry. He has served in the ministry in Newton, KS, as well as Wichita, KS, in assisting and lead roles. Adam joined the pastoral team at Victory Fellowship in 2017 after serving first as an elder. He has experience in pastoral ministry, church administration, worship ministry, counseling, teaching and church planting. He oversees the worship ministry, serves as an assisting minister and elder as well as financial management and reporting.